The 2018 midterm elections were a disaster for California Republicans. The Republican candidate for Governor lost in the worst election result in 40 years and half of our Republican Congressional delegation was wiped out in the worst relative loss since 1883. California’s State Legislative Republicans weren’t spared from the carnage either. Already in the super-minority, California’s Assembly Republicans lost 5 more seats, dropping to 20 out of 80. The Senate got clotheslined too, losing 3 seats to now hold only 11 of 40 and joining the Assembly in super-minority status. It’s difficult to overstate the consequences of the foolish choices made by the California Republican establishment and their overpaid consultants. Californians are now left at the mercy of the California Democrats, whose failed policies have already led to an explosion of poverty and homelessness, failing education, increased taxes and rising crime, not to mention the skyrocketing drug use now openly on display in all of our streets, communities, and cities. But these mistakes aren’t new, they are simply the compound effect of 20 years of Republican leadership coasting to declining relevance through watered down fiscal conservative messages and token voter outreach. Since 1994, California Republicans have lost or simply held state legislative seats in almost every election. While Republican talking heads fretted about Donald Trump and his strong border policies, the California Democrats were industriously scheming to take over California, starting with driver’s licenses for illegal immigrants, automatic “motor voter” registration, same day registration, ballot harvesting, and outright fraud at the Democrat controlled Department of Motor Vehicles. To hear the highest echelon of California Republican leadership and pundits tell it, Republicans are doomed due to changing demographics and voters that prefer extreme environmentalism, nonexistent borders and Medicare-for-all over wildfire protection, less traffic, safe communities, and a booming economy. Nothing could be further from reality. The hard truth is simple: the California Democrats have outworked, out-organized and out-planned the Republicans at almost every turn. Unfortunately, after 20 years of losses, the best advice of the demoralized California Republican establishment has been to look and sound more like Democrats. It is time for that to end. It is time for a Republican Revolution in California. It’s time that the Republican Party stands for our values, our ideals, and yes even supports our Republican President. It’s time for California Republicans to boldly declare our values and stop rationalizing the plainly visible failures of the California Democrats. It’s time for the Republican Party to lead once again. To win, the Republican Party must start registering Republicans voters statewide again. From community gatherings to grocery stores to immigration ceremonies, statewide voter registration must be the primary mission of the Republican Party and the cornerstone of the revitalization of Republican organizations. Street by street precinct operations must be built from the ground up, with everyday Californians recruited to protect their own neighborhoods from the ravages of Democrat machine politicians. A statewide grassroots army, drawn from 5 million California Republicans and millions more conservative minded independents, must be systematically organized, funded, and engaged. Ordinary Californians must be given the opportunity to directly invest in rebuilding the Republican Party with a simple idea, the California 100,000: $10 a month, donated automatically by 100,000 Californians, to solely fund statewide voter registration. This ongoing funding will be independent of traditional fundraising sources, and will energize volunteer organizations to organically grow Republican majorities at every local level. After all, $10 a month is cheaper than moving to Texas. But organization will not be enough if elections continue to be stolen. The Republican Party must aggressively pursue rampant California voter fraud in federal court all the way to the US Supreme Court. No longer will Californians sit by and idly watch as election after election is expropriated by illegal electioneering of Democrat operatives and criminal negligence of election officials and state institutions. The Republican Party must learn to fight, and win for all Californians. Finally, Republicans must hold Democrat officials accountable through the recall process. Entrenched career Democrats must no longer be immune to public outcry and insulated from responsibility for failing California. Clearly demonstrated by major Republican victories in taking back the Governor’s seat in 2003 and breaking the tax raising California Senate supermajority in 2018, recalls hold the power to dramatically and immediately reshape the political landscape. Winning in California is more than just a dream, it is an absolute necessity. Better schools, safe communities, lower taxes, strong borders, family values: these are not trite expressions, but hard fought victories that have been carelessly abandoned by decades of neglect. To win we need a strong Republican Party, built by Republicans and for Republicans, to fight for every Californian’s Constitutional rights, families and property. California is our state. It’s about time we take it back. 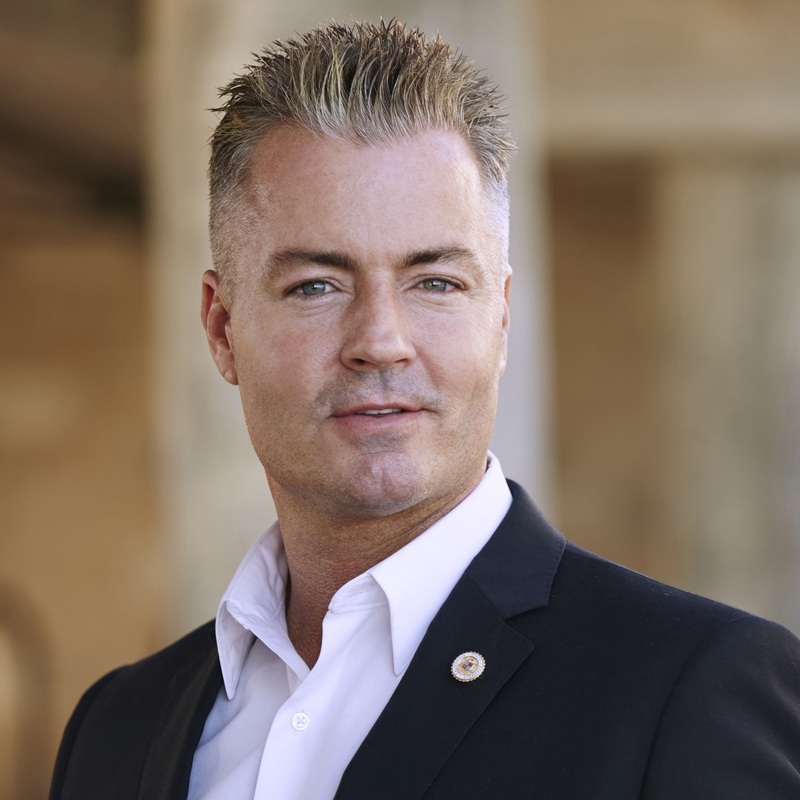 Assemblyman Travis Allen was first elected to the State Assembly in November of 2012 to represent Huntington Beach and north coastal Orange County. A strong advocate for lower taxes, strong borders, safe communities, and better schools, Allen is known for his conservative values, social media presence and inspirational speeches. Named the Young Republican Legislator of the Year in 2013 and OC Republican Legislator of the Year in 2014, Allen led the largest volunteer force in the state in over 20 key races across California to elect more Republicans, and currently has over 50,000 active volunteers in the Take Back California PAC. Allen was a candidate for Governor in 2018, authored the original Repeal of the Gas Tax Initiative, and successfully sued the Attorney General in Superior Court. Allen is also a successful business owner and Certified Financial Planner, and has helped his clients manage their money since 1996. An avid surfer and family man, Travis is in the Guinness Book of World Records for riding the biggest surfboard ever with 66 riders, and currently spends his time with his wife Arielle and two daughters, Charlotte and Caroline. This entry was posted on Tuesday, December 4th, 2018 at 1:24 am and is filed under Blog Posts.